The IAMS 2019 was a succes again this year! 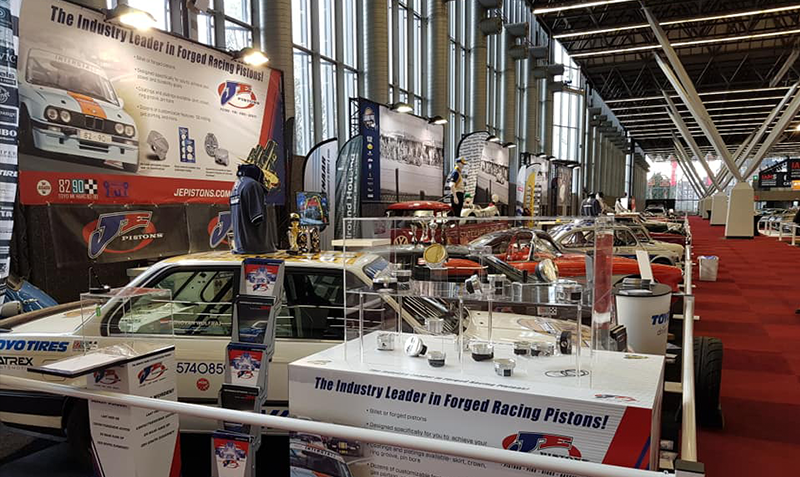 The second edition of a new tradition in the Netherlands took place from wednesday April 3rd to sunday April 7th, the International Amsterdam Motor Show. This second edition was also focused on cars that make the hearts beat faster. All cars for the car enthusiast, often cars that can only be admired for the IAMS for the general public. IAMS 2019 was also a show that has no equal. Never before has so many special cars been shown as during the 2018 edition in the RAI. Also in 2019 you looked your eyes at almost 200 cars from private collections in particular. Cars that you do not normally see emerge during IAMS 2019. The IAMS could be regarded as an exhibition museum with cars from the present, the past and the future! JE Pistons was present at the stand of HARC (Historic Auto Ren Club).